Featured Sick and tired of sleepless nights? Featured Looking for relief from insomnia? Are We Really Sleep Deprived? People with insomnia typically worry about not getting enough sleep. It’s easy to understand why. The media are are full of stories warning of the perils of insufficient sleep: obesity, diabetes, dementia, cardiovascular disease. But a study of sleep in 3 traditional societies published in October suggests that humans may need less sleep than we think we do—which should give insomniacs food for thought. Q&A: Should Night Owls Use Sleeping Pills? 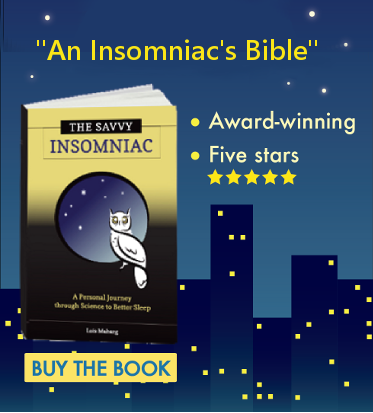 Rob wrote to Ask The Savvy Insomniac complaining about insomnia and wondering if Belsomra might help. Today’s blog post features his story and my response. We often hear that Americans are not getting enough sleep. Electric lights (and now screens) are usually cited as the culprits, and Thomas Edison gets blamed for saying we should all sleep less. But the Catholic saints had the same opinion. The shorter their nights were, the more time they could devote to prayer and charitable work. I just finished reading Father Aloysius Roche’s Bedside Book of Saints, and it’s clear to me that the saints would take issue with several ideas promoted by sleep experts today, including advice for insomnia sufferers looking for a better night’s sleep. Ever notice that on some days you’ve got better impulse control than on others? I see this when it comes to my resolve to avoid certain foods. Sometimes my reserves of willpower feel abundant. That last piece of chocolate cake? Save it for the husband. Other times I turn into a slavering Homer Simpson. The cake is so enticing that in a red-hot minute it’s down the hatch. A new review article by researchers from Clemson University suggests that not just impulsive eating but a lack self-control in general may be attributable to poor sleep habits and poor sleep. This claim will resonate with many insomnia sufferers, so here’s a summary of the authors’ key points. Q&A: Can Insomnia in Bipolar Disorder Be Treated with CBT? 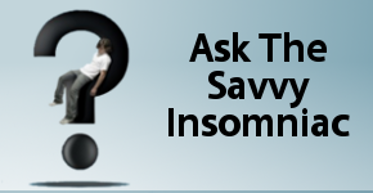 Last week Dan wrote to Ask The Savvy Insomniac with questions about cognitive-behavioral therapy for insomnia (CBT-I). Dan has bipolar disorder, and because of this diagnosis, his sleep doctor had reservations about him undergoing CBT-I. So Dan tried a modified version for 2 weeks. His sleep did not improve. He was wondering if he would have to use sleeping pills and if he should continue with CBT-I on his own. Got an infant whose sleep is getting worse rather than better (and could this be a sign of incipient insomnia)? A toddler who won’t sleep alone? A 4-year-old who shifts into overdrive when he should be winding down? Help is at hand. A new book, The Happy Sleeper, is a friendly guide for parents of young “problem sleepers.” In reality, say authors Heather Turgeon and Julie Wright, most babies and children have no trouble sleeping at all. Instead, the problem lies in the misguided tactics well-meaning parents use to help their babies sleep. We’re often warned about getting less than 7 to 8 hours of sleep a night. Short sleepers—variously defined as people who sleep 5 hours and less or less than 6—are more susceptible than normal sleepers to a host of problems: cardiovascular disease, obesity, diabetes, cancer, and dementia. Many people with insomnia fall within that 5- to 6-hour range. Rarely do we get encouraging news about our prospects for a healthy life. But recent research on genetic mutations tells a different story. Not only does it begin to explain some of the differences in sleep duration among human beings. It also suggests that short sleep may not necessarily have adverse effects on our health and quality of life. Does Insomnia Look as Bad as We Think? The first image that came to mind was my face as it must look the minute I crawl out of bed after a slew of insomniac nights. That face isn’t pretty. But would signs of sleep deprivation show up in a photograph?